it will make no difference at all, you may be in the house next door, or the other side of the world, distance will make no difference to the strength or power of the treatment Reverend Malcolm sends out, as it travels through the spiritual realms. 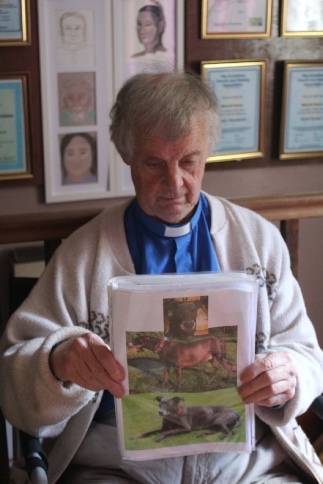 Reverend Malcolm has helped people in almost every country and continent over the years, and is usually treating patients in several countries at any time ongoing. 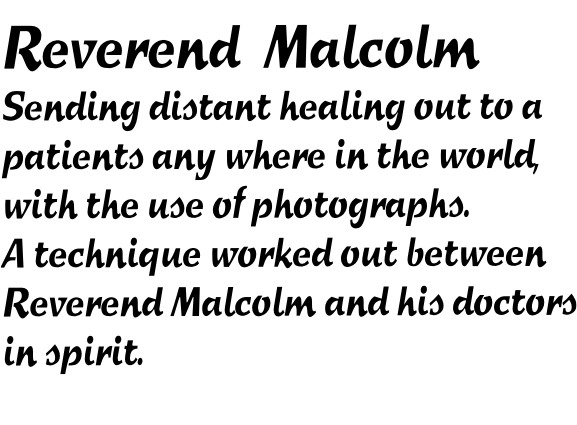 Distant healing, (sometimes called absent healing, but we do not accept that wording, as the healer is still connected to the patient), is just that, treating a patient who is not present in person with Reverend Malcolm. It can often be just as good as having a personal appointment with Reverend Malcolm, (see testimonials). Some patients like to have sessions over the telephone, where Malcolm asked the patient to lye on their bed, then Reverend Malcolm lies on his bed, and can feel through his body to the patient, then working through the phone direct the patients hands to where they are needed. The treatment can last anytime from around 30 minutes onwards each session. We suggest a charity donation of Â£25 to Â£50 GB pounds for gentle healing when the condition is not to serious. again the same time scale as above would apply. Even talking to Reverend Malcolm on the phone, many people tell him that pains have eased, or even gone while talking to Malcolm. To achieve such high success results, distant healing has to be sent out throughout the day and night, this involves a great deal of his time every day / week. Some treatments will involve working through photographs, so Malcolm can feel and work on a particular area in the body. Other times, at night for instance, Reverend Malcolm can simply close his eyes any see his patient in his higher consciousness and so work remotely on them. With very serious conditions and patients, Malcolm is often woken in the early hours of the morning so send out healing with his doctors, he does with much dedication.